Photographers who crave long lenses, whether for sports, wildlife or even long portraiture, all yearn for bright apertures, but they usually have to settle for “fairly” bright… something between f/2.8 or f/4. Canon and Nikon have offered full frame 200mm f/2 lenses for some time now, and on APS-C bodies they yield a 300mm eq. f/2 lens. Olympus also has their revered (though sadly now-discontinued) 150mm f/2 lens from the Four Thirds world, and now Fujifilm joins this esteemed camp. Their first offering in the fast telephoto prime segment, the XF 200mm f/2, is a real stunner, and I was thrilled to be the first at IR to take it out into the field. It’s a lot of firepower in a package that can be shot handheld, at least for brief periods. 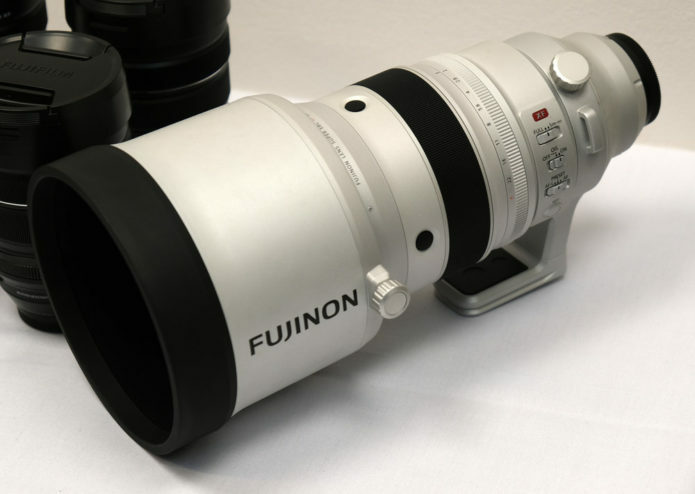 We’ve long been fans of Fujinon glass here at IR, so we were really excited when the lens touched down at our headquarters. At 5lbs (2265g), the lens wouldn’t be considered “lightweight,” but such is the nature of the amount of glass required to make a capable f/2 lens at this focal length.